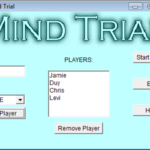 Mind Trial is a trivia game that I developed in Java at Georgia Tech back in 1999. The starting screen allows players to enter their names and choose a difficulty level. 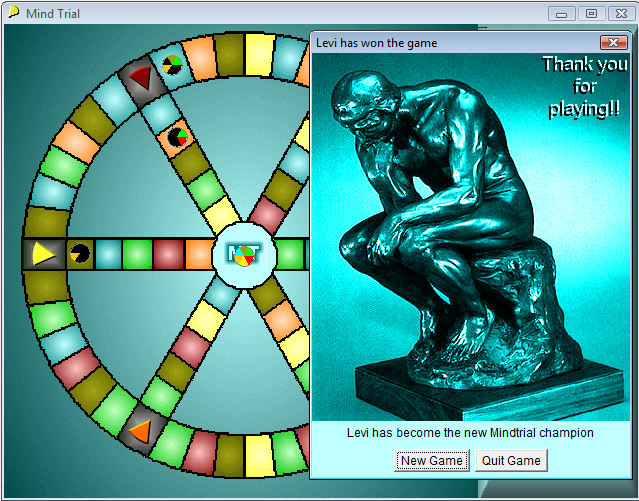 The player’s name displays during the game, but the difficulty level was never implemented. 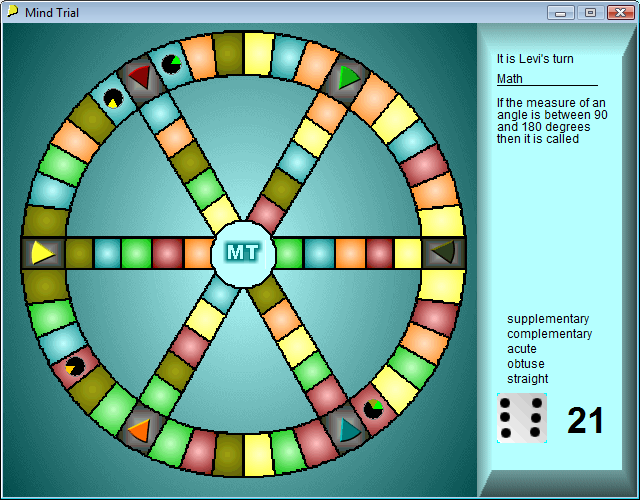 Each player rolls the die and moves the number of spaces according to the roll. 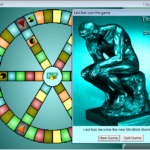 Once the player lands on a space, the player must answer a question based on that space’s color. 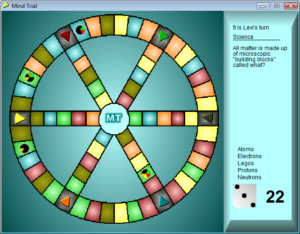 The category colors are: green for science, blue for math, red for language, yellow for geography, brown for history, and orange for current events. 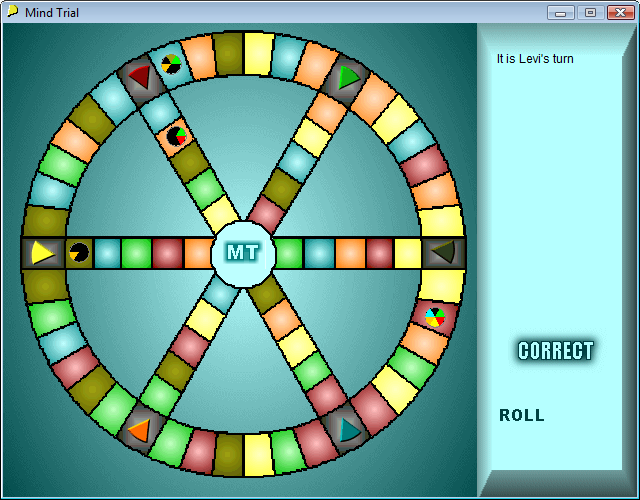 If the player answers the question correctly, then they get to roll again. 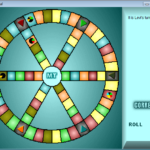 If the player answers the question correctly on a pie piece space, then the player acquires a pie piece of that color. 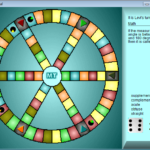 The objective is to collect six pie pieces of each color. 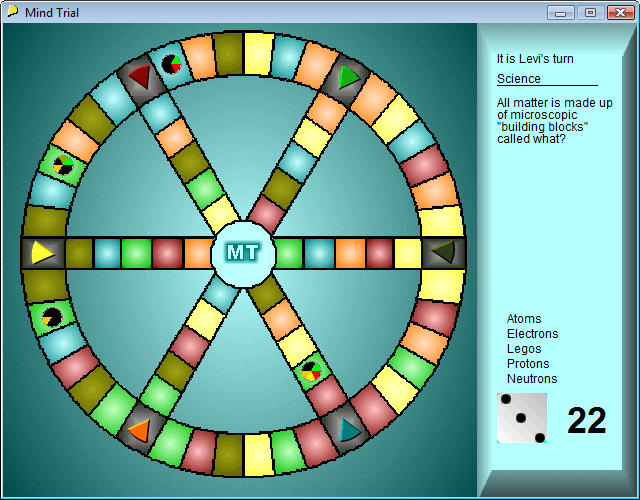 Once all are collected, the player must move back to the enter space with the “MT” logo and answer a question correctly from a random category. Credit goes to Chris Ingram for making the questions and the rest of the GUIS team (Duy and Jamie) for project documentation. 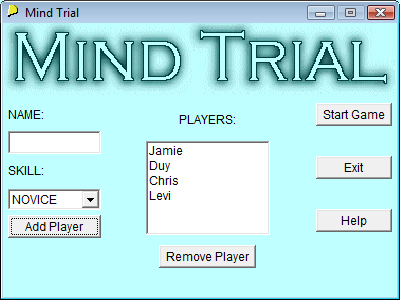 Visit the archived Mind Trial website for more information and downloads.